The SOAB Imitator defines the new standard for realistic duck decoys. The first ALL 4 natural motion decoy system by Swimming, Feeding action, diver & makes Ripples. While eliminating all limitations and a jerk Free rig. "The ducks just can't stand it... It's the natural feeding action decoy... the SOAB Imitator is a game changer." See how easy the SOAB Imitator is to setup, from a Ducks Eye View & some SloMo Action. Plus other duck hunting videos. No More Shy Ducks by "Doing What Ducks Do"
The SOAB Imitator is the 1st ALL 4 natural motion decoy system: Swimming, Feeding action, Diver & makes perfect Ripples defining realistic duck decoys. The duck Imitator decoy is a Stand Alone jerk Free rig that eliminates all limitations and restrictions. Created & developed by Ted Williams available through our duck hunting store at SOAB Hunting Company. Watch 9 seconds prove why the Imitator is a must have for you this duck hunting season. Now that’s realistic! Need more proof? See the Imitator in action for the Kill! 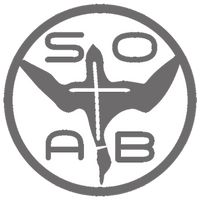 Watch how easy & quick the SOAB Imitator is to setup from the creator Ted Williams!